Ben Askren has expressed interest in a fight with Jorge Masvidal, but he doesn’t think the feeling is mutual. Masvidal competed this past Saturday (March 16). He headlined UFC London with home country favorite Darren Till. “Gamebred” stunned the London crowd with a devastating second-round knockout victory. Masvidal wasn’t done fighting when he exited the Octagon as he struck Leon Edwards backstage after the two exchanged words. In his post-fight speech, Masvidal said he isn’t worried about anyone calling him out and simply wants a title opportunity. He seemingly went the opposite route, however, when he attacked Edwards. That incident could very well set up a bout between those two as there is clearly bad blood. If that’s the case, then Askren will have to look elsewhere for opposition. 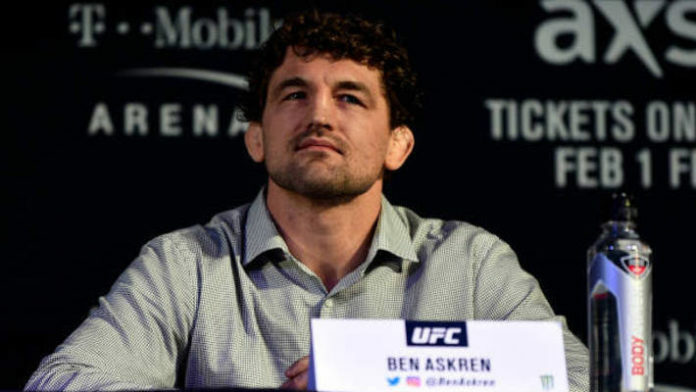 Do you think Ben Askren will fight Jorge Masvidal next?